Advent is all about timing. It’s amazing how Christmas can “sneak up” on us—as if we didn’t know it was coming on December 25th this year! While we may think we are so much busier than generations that came before, surely that’s not the case. From the time of Jesus on, people have been hard at work to provide for their lives, their homes and their families. Could that be why Advent developed in the Church so long ago—to remind busy people who are preoccupied with the troubles of the day that Christmas is coming? Mother Church gives us four weeks to realize and prepare. And not just outwardly, getting Christmas cards written and sent and gifts bought and wrapped. Advent is for inner preparation. Advent gives us time to replenish our supply of oil, so that we will have enough to keep our lamps lit while waiting for Christ’s coming. In the parable of the wise and foolish maidens, the bridegroom comes unexpectedly, while five were out buying more oil for their lamps. They can’t believe that he would come while they were away! And yet, it’s all about timing. They knew how wedding celebrations happened. They knew that they were to be prepared to wait as long as necessary. Sadly, they were distracted and missed the bridegroom and the party! We have been given the gift of Advent. It is a time for renewing and refreshing our spiritual lives. 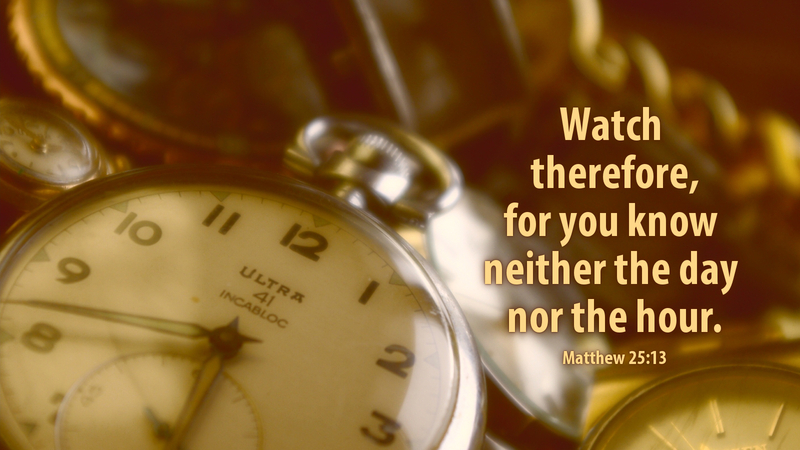 It is a time for emptying so that we may be filled. It is a time for the Word of God and the Sacrament of Christ’s presence among us. It is a time for quiet, and for joyful gatherings, and for prayer—alone and with others. May we watch and wait faithfully, as Christmas comes! Prayer: Lord, give us oil for the lamps of our lives—that they will still be burning in us, until you come! Amen. Advent Action: Make and use an Advent wreath—either elaborate or with four simple candles—as you mark the four weeks of Advent.